Welcome to Day 2 of the Joy Clair & Imagine Blog Hop!! What a perfect combination of stamps and inks!! We are so glad you joined us for this fun collaboration blog hop. This Blog Hop is for 2 days, May 17th and May 18th, and we have two different Design Teams, full of talented ladies that will surely inspire you along the way. We also have some amazing prizes to share with you!! 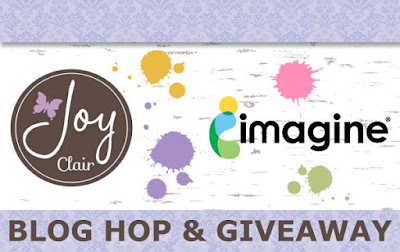 Just be sure to leave comments during the hop so you can be entered to win one of two $25 Joy Clair Stamps Gift Cards or one of two $25 Gift Cards from Imagine!! Joy Clair winners will be announced on the Joy Clair Blog at the end of the month and Imagine winners will be announced on the Imagine Blog. You should have come here from Jessica Litman's Blog , if you just stumbled upon this blog hop, lucky you!! 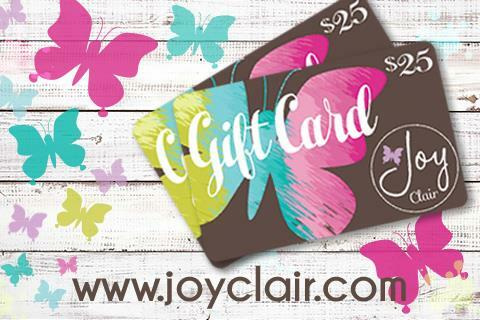 You can always go to the Joy Clair Blog and start at the beginning! For this card I started by taking a piece of watercolor paper and sprayed the Paris Dusk, Bahama Blue and the Summer Sky Fireworks Spray onto the paper and let it dry, the shimmer and shine doesn't show up real good in the photos, but let me tell you it is gorgeous! I took a piece of Navy Blue paper and sprayed the Paris Dusk, Bahama Blue and Summer Sky Fireworks Spray onto the paper and let it dry, the nice thing about these Fireworks Sprays are they dry really quick! Next I stamped the Joy Clair Paisley Bouquet stamp with Imagine Crafts VersaFine Onyx Black ink onto another piece of watercolor paper, then I colored the image in with water color pencils, I cut it down and mounted it on the Navy blue paper that I sprayed with the Fireworks. I trimmed that done and attached that to the white watercolor paper that I had sprayed with the Fireworks. 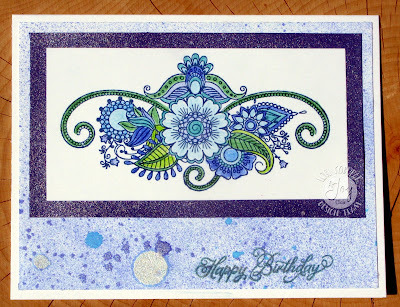 Then I stamped the Happy Birthday stamp from the same Joy Clair stamp set with the Imagine Crafts Encore Ultimate Metallic Teal ink and then I mounted all of this onto a white card base. You really have to try the Fireworks Sprays to see how much fun they are to work with! For this tag I sprayed the tag with the Paris Dusk, Bahama Blue and Summer Sky Fireworks Spray and let it dry. Once it was all dry I took the sentiment from the Joy Clair Be Brave stamp set and stamped that with the Imagine Crafts VersaFine Onyx Black ink. 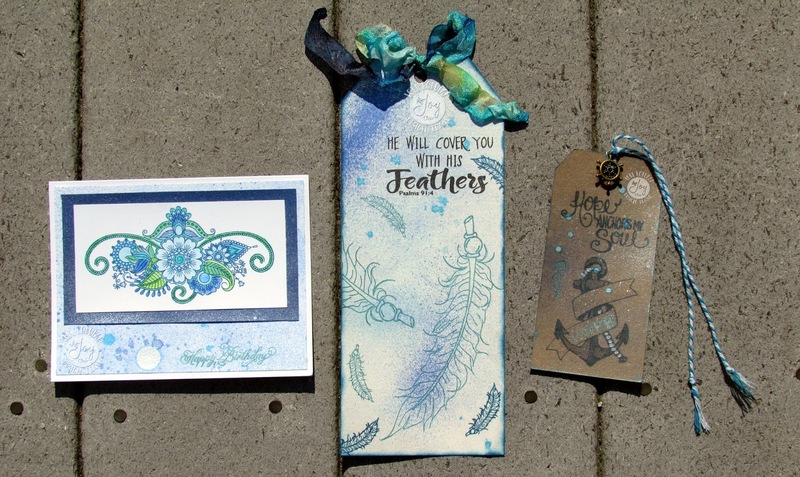 I stamped the feathers from the Joy Clair Be Brave stamp set with the Metallic Teal and the Deep Lagoon ink. Then I took the Deep Lagoon ink and inked the edges of the tag. I took the DL.ART Mermaids Tale Second Edition Blue Hue crinkle ribbon and tied a bow around the tag. For this tag I sprayed the Bahama Blue, Paris Dusk and Summer Sky Fireworks sprays onto the tag. When the tag was dry I stamped the Joy Clair Paper Tattoos anchor stamp with the Versafine Onyx Black ink onto to the tag. 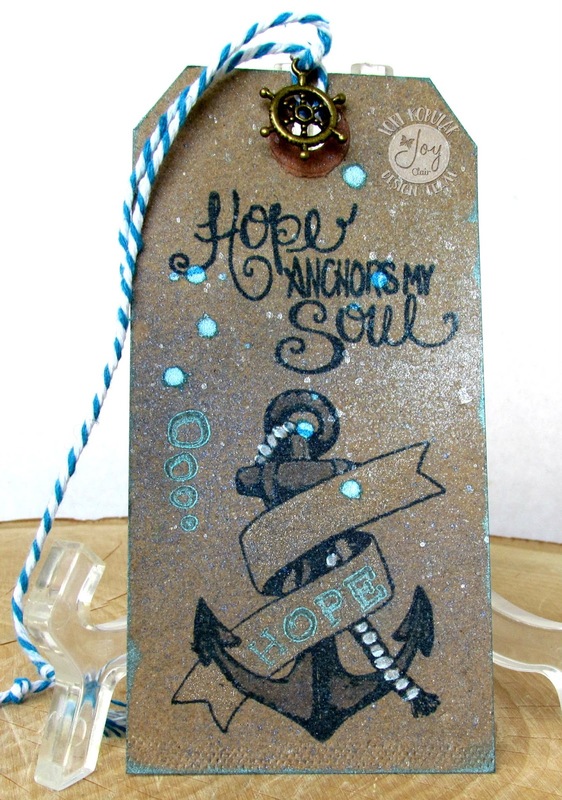 I used the alphabet letters from the stamp set to stamp HOPE inside the ribbon around the anchor with the Ultimate Metallic Teal ink. I colored in the rope on the anchor with a white pen. I stamped the sentiment from the Joy Clair Anchor of Hope stamp set with the VersaFine Onyx Black ink onto the tag. I stamped the bubble from the Joy Clair Anchor of Hope stamp set with the Imagine Crafts Encore Ultimate Metallic Teal ink. I used the same Teal ink to ink the edges of this tag. I took some Blue & White Bakers Twine and threaded the Anchor charm through the hole in the top of the tag. Lori Kobular ~ YOU ARE HERE!! Please remember to leave comments on all the blogs to get a chance to win one of the prizes!! Great projects Lori. I really love the anchor tag! Thank you Renee! I corrected my mistake on your spelling! Thanks for letting me know! Great cards, Lori! I especially LOVE how you colored the image on the birthday card ~ GORGEOUS! Very pretty! such creative ideas! Thank you Carly! Yes the shimmer and sparkle are from the Imagine Fireworks! I had never used them before, but I absolutely LOVE them now!! Pretty card and tags! 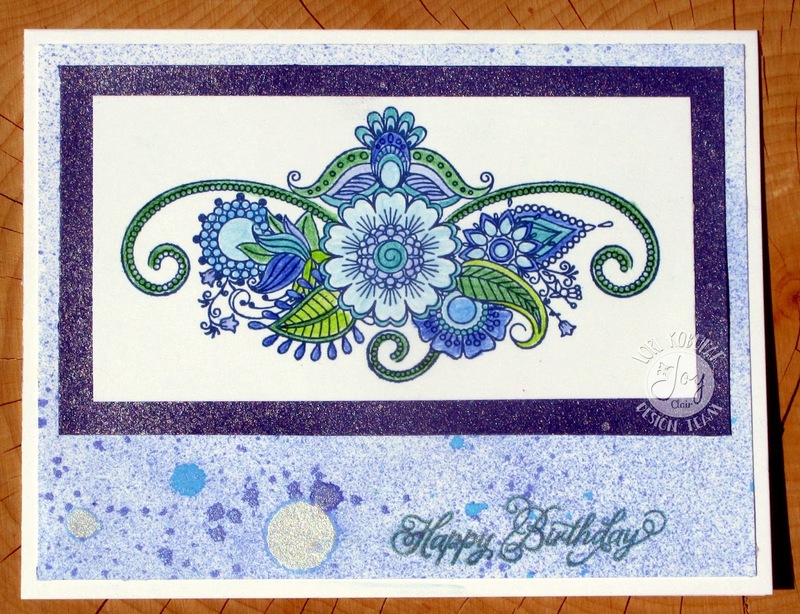 I really love the Paisley Bouquet design on the card and the color combo you used! The shimmer from the Fireworks adds a pretty detail! Really cute tags, my favorite is the "He will cover with his feathers, really nice colors. Thanks for sharing. Beautiful projects! I especially love the anchor tag. Fantastic job. Very pretty colors on your card and tags. Love the anchor tag. Lori, nice card and tags! 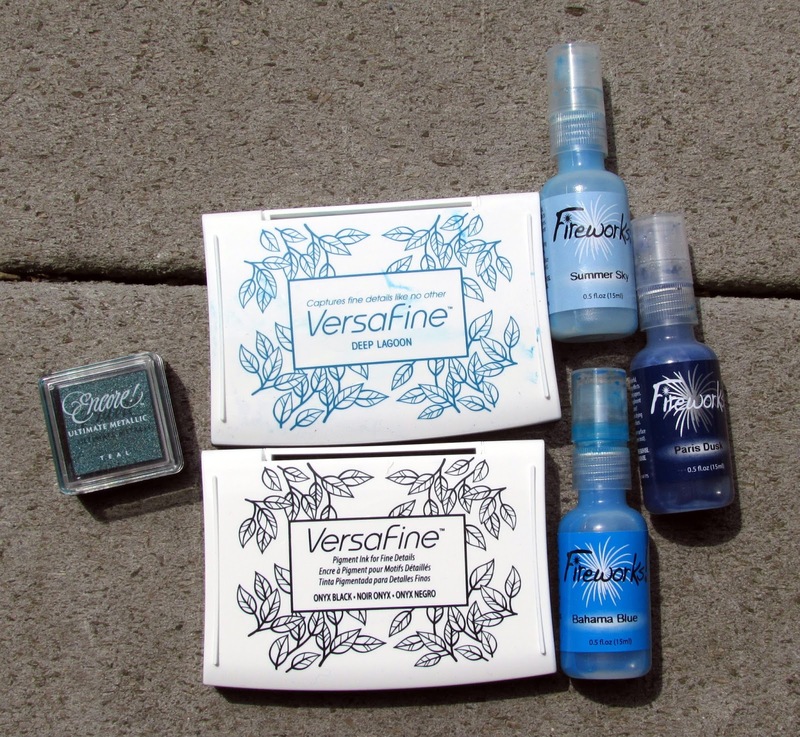 Love your creations and love how you used the image products. These look amazing! I especially like the first tag. Love the card and tags. Great projects. Love the anchor tag. Wonderful projects. I really like the anchor tag. Love the tags!! So creative! Great cards! 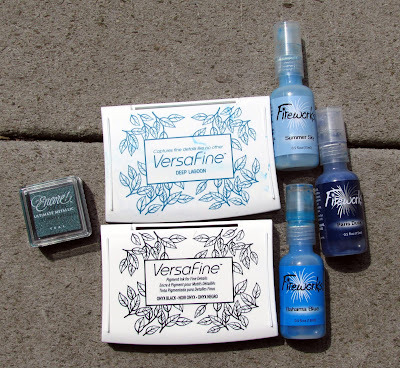 Love the blue versafine ink and the firework sprays look so fun to play with. Beautiful cards! Blue is my favorite color. Thank you. Beautiful creations! I love the pretty blur and fun inking! Lori, you've rocked this hop! Your creations are beautiful, my friend. Thanks for sharing! Beautiful creations Lori! I love the color combinations and fun sentiments!